As you'd expect, these are on my Tire Deals page. Never bought from Tire Rack? Are you thinking do I need to deal with four huge tires delivered to my house? You're not alone. Good news: they don't ship the tires to your home, they ship them to the tire shop of your choice for mounting, balancing, etc. I did it, and it's smooth. I wrote a big, informative How Tire Rack Orders Work. Ok, let's get to the tire deals. When you buy any set of four (4) Bridgestone tires you may be eligible to receive a $50 Bridgestone Visa® Prepaid Card by mail. Offer valid on tires purchased from Tire Rack's in-stock inventory now through December 31, 2013. When you purchase a set of four (4) qualifying Bridgestone Potenza tires you may be eligible to receive a Bridgestone Performance Football after mail-in rebate. Offer valid on tires purchased from Tire Rack's in-stock inventory now through December 31, 2013. Purchase a select Eibach Pro-Kit Spring Set or Sportline Spring Set and you may be eligible to receive a 10% Holiday Rebate. Offer valid on select Eibach products purchased from in-stock inventory now through December 31, 2013. When you purchase a set of four (4) select Goodyear or Dunlop tires you may be eligible to receive up to an $80 mail-in rebate. Offer valid on tires purchased from Tire Rack's in-stock inventory now through December 31, 2013. Buy a set of four (4) select Kumho tires and you may be eligible to receive a $50 VISA® prepaid rebate card by mail. Offer valid on tires purchased from Tire Rack's in-stock inventory now through December 31, 2013. When you buy four (4) select Pirelli winter tires you may be eligible to receive a Pirelli Winter Car Kit & a $50 Visa® Prepaid Card via mail-in rebate. 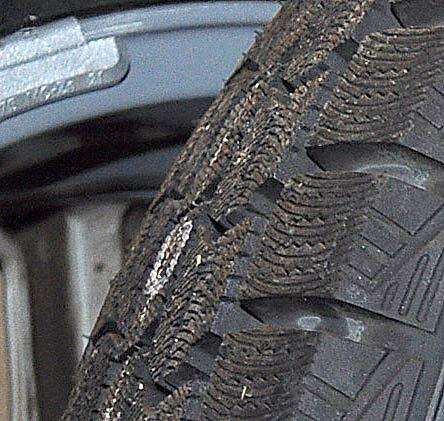 Offer valid on tires purchased from Tire Rack's in-stock inventory now through December 31, 2013.